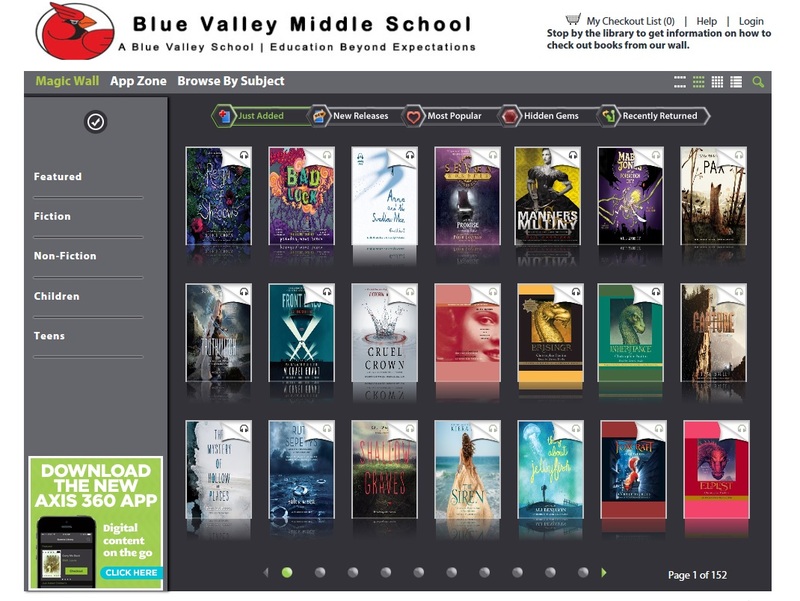 Blue Valley Middle School Library Media Center: READ! Use All Of These Great Reading Tools To Find Your Next Favorite Book! The selection includes elementary through adult books. What is the BVMS Library Staff Reading? List 3 authors you like to find similar author suggestions.